So WordCamp Ireland is rolling up pretty quickly. 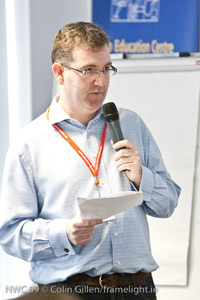 Back in November 2009 I was delighted to help out in organising Northwest Connects – as well as doing the moderation of the two panel discussions we had on the day. Both discussions went well – according to plan in as much as something like this can – and I received good feedback afterwards. The session has the title of WordPress use case scenarios and the the context will examine the power and potential of WordPress for charity, community and news based sites.